Setting aside the fact that loudly “debuting” a “viral video” is antithetical to the definition of a viral video, the new viral video for the upcoming Ridley Scott-helmed Prometheus debuted today, and it’s pretty great. 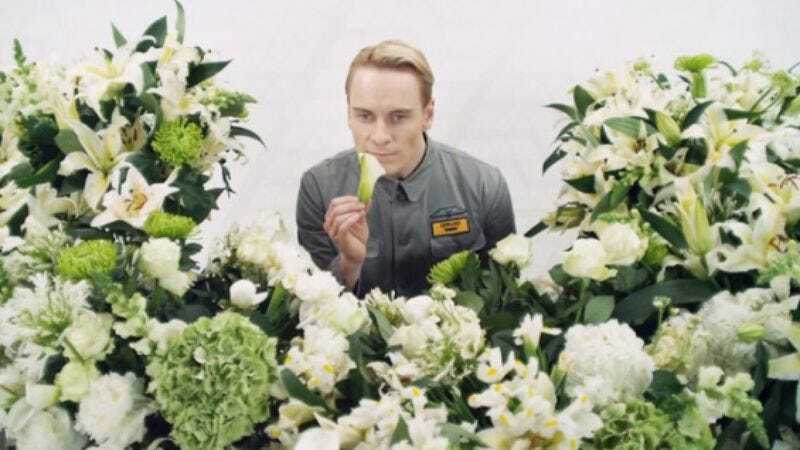 Not coincidentally, it also prominently features the often-great Michael Fassbender as “David,” a next-generation android from the Weyland Corporation that can improve efficiency and “blend in with your workforce effortlessly.” (Ah, to work at an office where Michael Fassbender “blends in”…) Oh, and he can also carry out tasks humans might find “distressing, or unethical,” and apparently possesses both self-awareness and the ability to process emotion, which will probably have little to no effect on the crew of Prometheus when the film hits theaters on June 8. In case you missed it, here’s the first Prometheus “viral video,” which debuted in February and features Guy Pearce as David’s presumed daddy, Peter Weyland, giving a TED talk from the year 2023.